suited to your taste, style and budget. Drumore Estate is the Lancaster wedding venue that you’ve been dreaming of. Formal gardens, fountains, a historic Georgian mansion, and 70 acres of lush greenery- all of this is exclusively yours to enjoy on your wedding day. Our attentive and experienced staff will ensure that you and your loved ones experience an unforgettable, fairy tale wedding. This Lancaster county wedding venue is secluded and pristine, yet it is only a short drive from Lancaster city. Drumore Estate has a variety of gorgeous outdoor and indoor ceremony sites, and the reception event spaces include the vintage Orangery, climate-controlled Carriage House, and the open-air Grand Tent. No matter the occasion, we will ensure that your Drumore Experience is lovely, elegant, and perfectly tailored to your vision. The stunning Lancaster, PA scenery, majestic sunsets, and historical architecture and estate gardens provide a flawless backdrop to our impeccable and personable service. 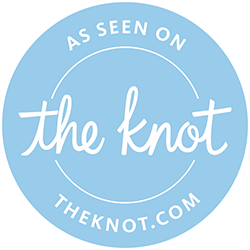 The Drumore Experience delivers an elegant, picturesque wedding day in the heart of Lancaster, PA tailored specifically to you. Our dedicated Event Planners and Day-of Coordinators work with you to ensure your event is seamless & stress-free. The Drumore Experience offers a variety of venue options for various sizes and styles of gatherings, from weddings and banquets to anniversaries, birthdays, showers and more. We tailor our venue to fit your needs, taste and budget. The Drumore Experience offers full-service, custom catering on site. Our Event Planners & caterers work with you to design the perfect menu for your gathering with an array of options that include buffets, stations, sit-down dinners, & cocktail receptions.